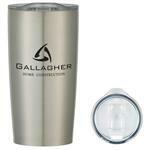 The Polar Vacuum Tumbler - one of the most popular styles of tumblers on the market. 20.9 oz double wall 18/8 stainless steel thermal tumbler with copper vacuum insulation, high polish accent, powder coated finish and push-on acrylic swivel lid. 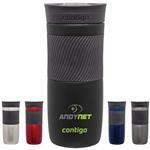 This is such an amazing tumbler, it will even keep a yeti warm! Comes in a gift box. 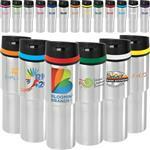 One of our best selling vacuum insualted travel mugs! 20.9 oz double wall 18/8 stainless steel thermal tumbler with copper vacuum insulation, high polish accent and push-on acrylic swivel lid. Matte Finish. 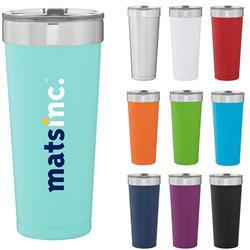 A great vacuum insulated travel mug.